We investigated scent composition and pollinator attraction in two closely related orchids, Gymnadenia conopsea (L.) R.Br. s.l. and Gymnadenia odoratissima (L.) Rich. in four populations during the day and night. We collected pollinators of both species using hand nets and sampled floral odour by headspace sorption. We analysed the samples by gas chromatography with mass spectrometry to identify compounds and with electroantennographic detection to identify compounds with physiological activity in pollinators. In order to evaluate the attractiveness of the physiologically active compounds, we carried out trapping experiments in the field with single active odour substances and mixtures thereof. By collecting insects from flowers, we caught eight pollinators of G. conopsea, which were members of four Lepidoptera families, and 37 pollinators of G. odoratissima, from five Lepidopteran families. There was no overlap in pollinator species caught from the two orchids using nets. In the scent analyses, we identified 45 volatiles in G. conopsea of which three (benzyl acetate, eugenol, benzyl benzoate) were physiologically active. In G. odoratissima, 44 volatiles were identified, of which seven were physiologically active (benzaldehyde, phenylacetaldehyde, benzyl acetate, 1-phenyl-2,3-butandione, phenylethyl acetate, eugenol, and one unknown compound). In field bioassays using a mixture of the active G. odoratissima compounds and phenylacetaldehyde alone we caught a total of 25 moths, some of which carried Gymnadenia pollinia. A blend of the active G. conopsea volatiles placed in the G. odoratissima population did not attract any pollinators. 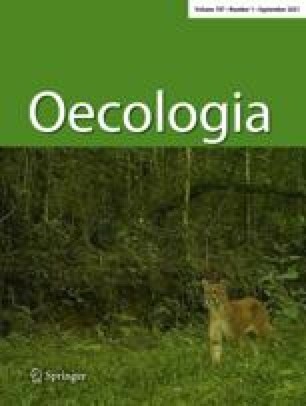 The two orchids emitted different odour bouquets during the day and night, but G. odoratissima showed greater temporal differences in odour composition, with phenylacetaldehyde showing a significant increase during the night. The species differed considerably in floral odour emission and this differentiation was stronger in the active than non-active compounds. This differentiation of the two species, especially in the emission of active compounds, appears to have evolved under selection for attraction of different suites of Lepidopteran pollinators. We would like to thank Caroline Weckerle (Zürich) and Charlotte Salzmann (Zürich) for assistance in the field and help on the manuscript and in the laboratory. Jim Mant (Zürich) provided helpful comments on the manuscript. We also thank Alex Kocyan (München) and Ruedi Irniger (Zürich) for information about Gymnadenia populations and Amots Dafni (Haifa) for discussion and helpful suggestions on this work. Financial support was provided by the ETH Zürich and the University of Zürich.